BRN (pronounced “born”) or Biodynamic Resuscitation of the Newborn, is an evidence-based approach to neonatal resuscitation designed for settings where advanced technology or a pediatric team is not at hand, such as low resource areas and community based (out-of-hospital) settings. Created in 2006, BRN incorporates findings of the International Liaison Committee on Resuscitation (ILCOR) Neonatal Task Force, as well as other published and empirical evidence and is based on Biodynamic Care principles. Recognition that the fetal stress response continues through the neonatal transition period. Delayed cord clamping to optimize newborn lung perfusion and oxygen carrying capacity, to help remove lung fluid, and to avoid anemia. Use of room air for at least 60 seconds of resuscitation, and preferably longer. Recognition of the importance of a calm resuscitation environment to minimize neonatal stress response. Requires little or no specialized equipment to perform. Is BRN the same as NRP? No. Although both train practitioners in how to help newborns transition after birth and have many similarities, they are not the same. The Neonatal Resuscitation Program (NRP), which is sponsored by the American Heart Association and the American Academy of Pediatrics, is a hospital based program. As such, it assumes the availability of technology such as oxygen mixers and pulse oximeters, as well as the availability of a pediatric team. NRP incorporates advanced life saving methods (such as medications and intubation) which are needed in only about one out of 1000 deliveries, many of them preterm or other high risk births. At this time, only current delivery-room hospital staff with extensive hospital experience in newborn resuscitation qualify to be trained and certified as NRP instructors. Is there an international standard for newborn resuscitation? While the International Liaison Committee on Resuscitation (ILCOR) Neonatal Task Force has compiled evidence and released a consensus statement with treatment recommendations, most recently in 2015, there is no single international approach to newborn resuscitation. Each country / region creates their own program based on local needs. NRP is the American hospital based program for resuscitating newborns. Other countries have their own programs, such as Newborn Life Support (NLS) offered by the Resuscitation Council in the United Kingdom, which is designed for all birth settings. To meet the needs of out-of-hospital care providers for a simple, low-tech approach for resuscitating newly born infants. NRP remains committed to offering only hospital-based training. To incorporate the evidence about room air resuscitation, delayed cord clamping, sustained fetal stress response in the newborn, and other relevant research, into a resuscitation protocol. To create an avenue for training neonatal resuscitation instructors who practiced in community birth sites and thus did not meet the qualifications to become an NRP instructor. Does BRN meet the NARM requirement for neonatal resuscitation training? Yes, NARM (the North American Registry of Midwives) first approved BRN as an option for meeting its CPM requirement for newborn resuscitation training in 2011. Five years later, in April 2016, NARM again approved BRN, extending their approval indefinitely. Will BRN meet my state licensing requirement for neonatal resuscitation training? The BRN provider card has been accepted by state licensing boards for documenting current training in neonatal resuscitation. BRN has been accepted by the Oregon Board of Direct Entry Midwifery since 2008. For assistance in requesting recognition of BRN by your state credentialing board or professional organizations, please contact us here. What kind of credential will I receive when I complete the BRN workshop? Students who complete the workshop receive a training verification card as a BRN provider, which expires after two years. The CPR class I just took covered infant resuscitation. Why do I also need neonatal resuscitation training? Newborn resuscitation differs from resuscitation of infants because, for the first many minutes of life, the new baby responds physically more like a fetus. In addition, the lungs of the newborn are uninflated and fluid-filled. And because they are transitioning from the uterine environment, they need additional help with thermoregulation. These unique factors require a change in the resuscitation procedure from that used for infants, children, and adults. 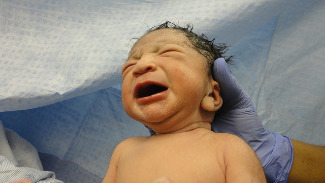 Most resuscitation training does not address the unique needs of newborns, or does so only briefly. What are Biodynamic Care principles? Biodynamic refers to working with innate energies and physiology, in this instance, when assisting with the newborn transition at birth (bio = life, dynamic = energy). Biodynamic Care recognizes that, while a small amount of healthy stress enhances fetal readiness for extrauterine life and makes transition easier, too much stress hinders the necessary adjustments. Biodyamic care also respects the crucial role of oxytocin as the hormonal foundation of parent-infant attachment. Thus, practitioners of Biodynamic Care create environments and provide care which decreases stress hormones and increases oxytocin flow.